As your cat gets older it will become leΒ active and it will also sleep more. Even so, they will continue to experience all sorts of fascinating things every day. And to make sure your cat stays healthy it needs special food, specifically formulated to meet the needs of elderly cats. The food should contain all the neceΒary nutrients and vitamins which your senior pet needs to stay healthy and fit. 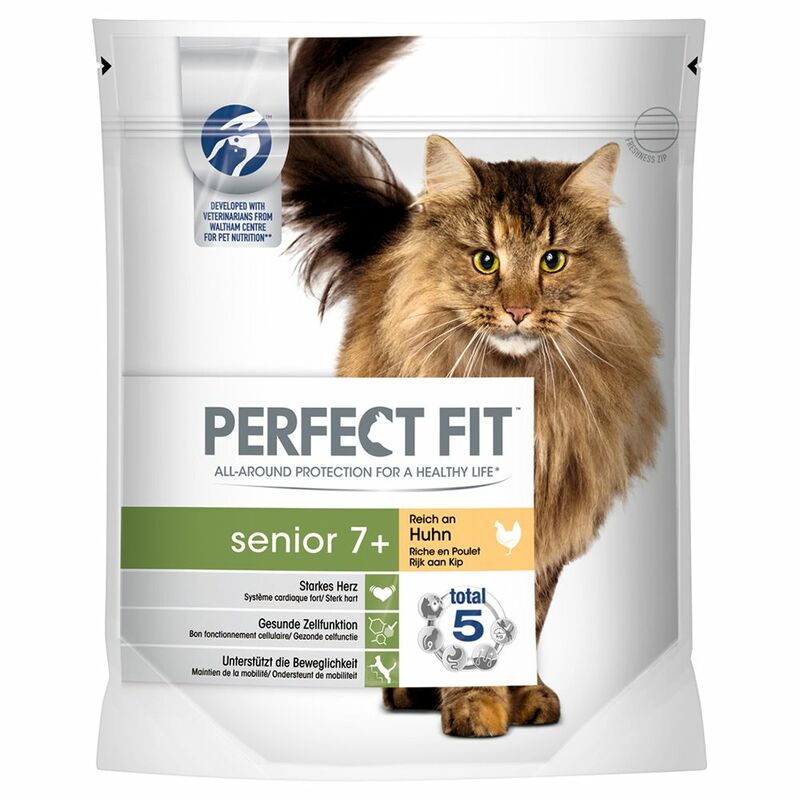 Perfect Fit Senior 7plus Rich in Chicken at a glance: Balanced composition of nutrients Supports healthy aging Complete food for senior cats from 8 years With valuable nutrients, minerals and vitamins In handy re-sealable pouches Perfect Fit Senior 7plus Rich in Chicken tastes delicious and provides elderly cats with a balanced combination of nutrients. Only premium quality ingredients, free from colouring and preservatives, are used in Pure Fit. Important proteins, fats and carbohydrates and an optimal balance of vitamins and minerals make this meal as close as poΒible to the diet your cat would enjoy in the wild. Perfect Fit comes in practical, resealable pouches ensuring freshneΒ and perfect portioning every time.